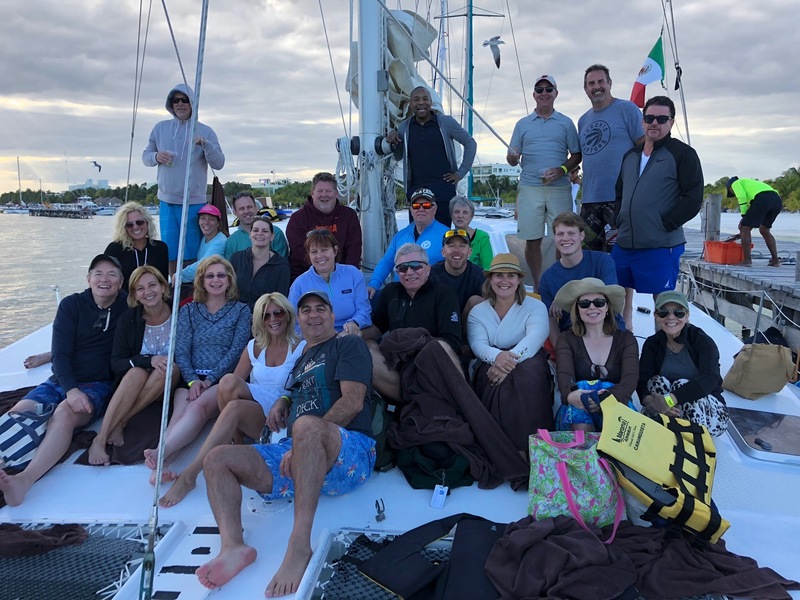 Attendees of the 2018 DLI-NCA Five Star Brainstorming Conference enjoy a group boat ride. The 2018 Five Star Brainstorming Conference hosted by the Drycleaning and Laundry Institute (DLI) and the National Cleaners Association (NCA) just wrapped. In case you missed it, the conference ran January 12th-14th at the Secrets Capri Riviera Cancun, an adults-only resort on Mexico’s world-famous Yucatan peninsula. Surrounded by towering palm trees a stone’s throw from azure Caribbean waters, attendees spent their mornings soaking up knowledge – and their afternoons soaking up the sun. Speakers included Deena Ebbert, who shared insights about the FISH! philosophy; Joseph Grenny, a New York Times bestselling author who spoke on ways to change both employee and employer behaviors; and Brian Rashid, creator and CEO of ‘A Life In Shorts’, a digital media and communications company, who specializes in the art of storytelling in marketing. “I was really impressed with the speaker on the last day,” said Chris Edwards of A Cleaner World in High Point, North Carolina. “He was a TedX speaker. That’s probably where I picked up the most valuable, actionable items.” Dennis Schmitt of Lindeman’s Cleaning in Green Bay, Wisconsin, said that “All the speakers had a really good knowledge of their subjects and they all had a passion in their delivery. It would be difficult to leave the meeting without some ideas to improve your business or personal life.” Learning from impressive, informative, and passionate speakers in the lap of tropical luxury? That sounds fantastic! “It is ALWAYS good to talk to other people in the same industry,” said Nanfelt. “I came away realizing that my prices are too low.” Whether it was around the quiet and relaxing pool, during a meal, or somewhere else unexpected, most attendees interviewed for this story expanded their networks.